And given that many of MNFC have at one time or another studied French, I think I will leave my ‘Francophonicals’ there! Well, just four more words, and last night’s film: Au Revoir Les Enfants. Before we get too deep into reviewing, a big hello to our brand new member who had his first MNFC last night, little baby Cyrus! Just like Di, he struggled to stay awake for the film; Di having run a 1/2 marathon, and Cy from a hard day of looking very cute and sticking things in his mouth. And special thanks again to Paul who had to last-minute re-wire the whole of the front room, thanks to a lazy Virgin Digibox technician, grrr! Oh, and for going out to fetch our dinner – an MNFC first, kebabs! Thankfully, England’s dismal progress at the World Cup this year, has allowed me to use this evening’s match against Costa Rica to get all sorts of things done, the Tuesday Review amongst them. But, it is on the TV in the background, so apologies if the occasional expletive creeps in to what I’m writing here. But onto the film. Au Revoir Les Enfants, we all agreed, was a beautiful yet sorrowful film. It is centred around life in a Catholic boarding school in 1944’s occupied France, and in particular the events surround Julien and the new student he becomes friends with, Jean Bonnet. As their relationship grows and the Nazis close in, it becomes clear that Jean is not whom he sees. Our post-film chin-stroking allowed the film fascists to think about the look of the movie (it had a blanched-out filter and lived-in feel similar to recent MNFC film The Sacrifice), and it successfully steered clear of melodrama and cliché, mostly due to the films refusal to have lots of “plot” events and also the naturalistic performance of its young cast. We considered, are World War II films so many in number that they lose their power? The film clubbers were clear that this didn’t seem to be so. There would be millions of stories to be told from this conflict, and film has done well in representing this, as it continues to do so. From the melodrama of Hollywood’s portrayal, to the Epic, to individual battles and events, down to the emotional depths of the individual; all in a variety of settings, with many types of people in many different countries. Even our own MNFC films that have depicted WWII are incredibly varied. 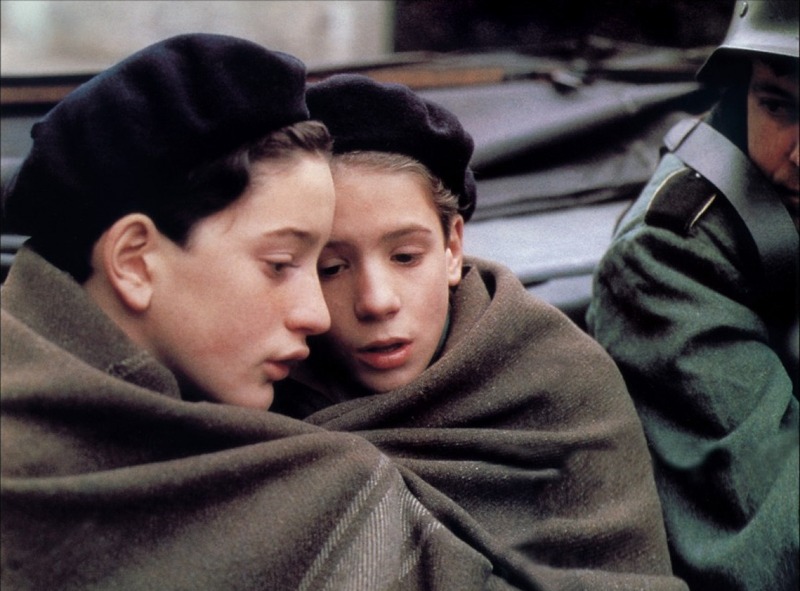 Consider Au Revoir Les Enfants in the comparison to The Great Dictator, and Life is Beautiful (and for that matter, the post-war effect on films such as Bicycle Thieves) and the sense of variety is clear. To avoid potential spoilers, I will sign off here. But for those who are interested in finding out more about this incredible film, this link to Roger Egbert’s original review and subsequent revision please click here. Until 14th July, and when we are off again Finsbury Park and to Comrade Di’s follow-up to Blancanieves!